Foundation is one of makeup products I get very excited about because let's be honest, good makeup day starts with good base. 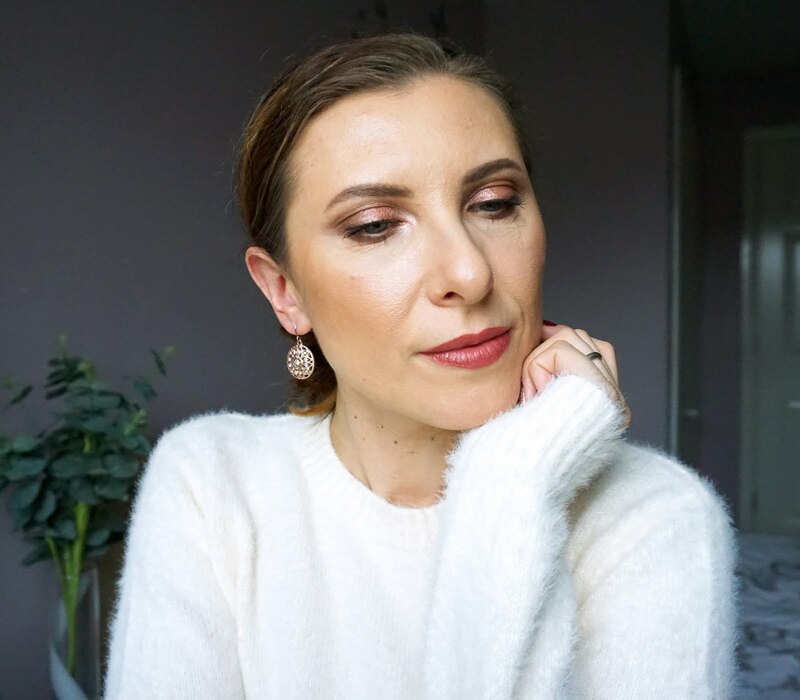 I've tried quite a few Dior foundations and had really good experience with them (recently Dior Forever Undercover Foundation -review) so when I heard the brand is bringing a new Backstage collection which includes a foundation I couldn't wait to get my hands on it and I bought it from the Dior website as soon as it was released on there. I've used the Backstage Face and Body Foundation every day for over a week and I thought I will share with you my thoughts on it as it's just been released on other websites and in stores as well, so it's even easier to get hold of. For the first time Dior has brought out a foundation with 40 different shades which is amazing and I think everyone should be able to find a good skin match, especially as there are also different undertones: pink, olive, yellow, beige, peach. 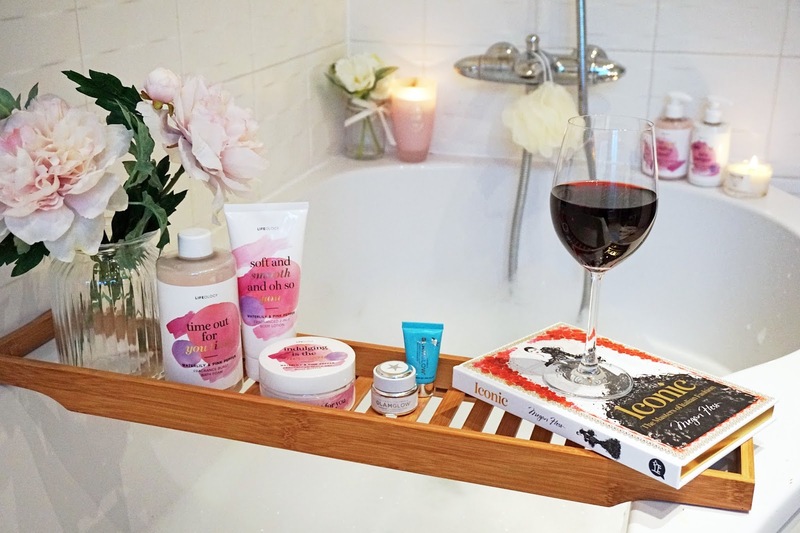 I chose shade 2W (warm, yellow undertone) which is a bit too dark for me but as I've started fake tanning recently and I'm going on holidays soon I wanted something to match my tanned body. I should have gone shade lighter though as the foundation oxidises (it gets darker for about half shade) throughout the day, so bare that in mind when picking your shade. The foundation comes in a sleek looking soft plastic bottle, with a nozzle type dispenser, no fancy glass packaging with a pump here but I don't mind that as instead you get 50ml of product which is much more then your standard 30ml foundation. Also the whole Dior Backstage collection is inspired by Dior makeup artists so I can imagine for makeup artists this type of foundation bottle is much more travel and user friendly. The new Dior foundation offers buildable coverage, from sheer to high coverage while looking natural on the skin. Dior's makeup artist, creative and image director, Peter Philips, suggests applying one layer of foundation with your finger tips for light coverage, two layers using brush for medium coverage and three layers while buffing it in circular motions for full coverage. Although I'm not the biggest fan of applying my foundation with fingers I actually like the skin-like effect of applying thin layer of the foundation to my skin, I did that on a few early, rush mornings and it gave me the perfected skin look without too much makeup on. My preferred method of applying it though is beauty blender, as usual with most of my foundations, and it works beautifully well, one layer gives light/sheer coverage but you can build it up in thin layers up to medium/full coverage without the foundation looking too heavy or cakey. 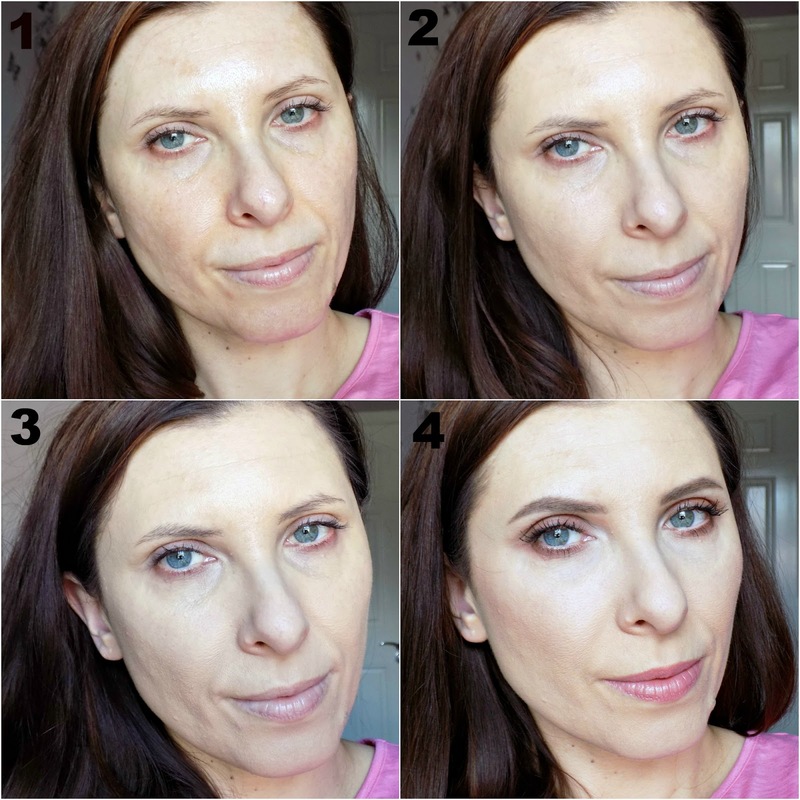 Although once you apply the third layer you will definitely be able to tell that you're wearing a foundation. The Dior Backstage foundation sets quite quickly on its own (I always apply powder on top of it though just to help with seamless blending of other products on top of it) but you definitely have the time to properly blend it in the skin. It has thin consistency but it's not too runny. I can detect some perfume-y scent but it's quite subtle and it doesn't linger on the skin. The foundation is quite transfer resistant as if I touch my face lightly it won't get removed but if I wear my glasses/sunglasses there's definitely some foundation missing/disrupted on the bridge of my nose. The foundation blends beautifully into the skin, it doesn't exaggerate large pores, it doesn't gather too much in wrinkles and fine lines and it looks fine over dry patches (it clings to them slightly). I have dehydrated skin with slightly oily T-zone and the foundation works well for me without being too matte or too glowy. I get a bit too shiny in my T-zone around the 6th hour mark of wear time (without primer) but the foundation doesn't separate nor get patchy. I have worn this foundation a few times for over 12 hours and only after 10 hours it started to look a bit patchy around my nose but the rest of my face looked perfectly fine. 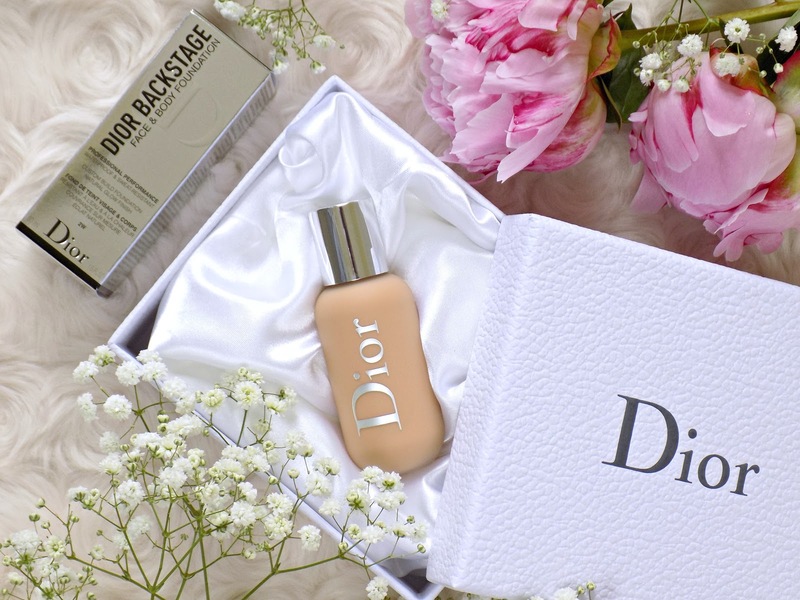 The Dior Backstage Face and Body Foundation is one of the longest wearing foundations I own. Last Tuesday I wore it for 17 hours!, I applied it at 5am, went to London (2 hours trip one way), came back, went to work for an evening shift, and finally removed it after 10pm and it still looked fine! Yes, I had to touch up with powder before heading for work but in general the foundation held up incredibly well. I noticed that one to two layers wears better then three layers as it gets looking a bit more cakey after about 7-8 hours. But I think most of us would settle on one or two layers for everyday anyway and reserve the fuller coverage for evenings. Overall, I'm really impressed with the new Dior foundation and I think it would be suitable for many skin types, and even those with very dry or oily skin can probably make it work with a good primer underneath. Considering it's 50ml for £29 it's actually good value for money for high end foundation. My only negative about it is the darkening of the foundation after a few hours on the skin and alcohol as a one of the main ingredients but so far I haven't experience any bad effects of it on my skin and I don't find the foundation drying in the slightest throughout the day. The advantages are: amazing shades selection, skin-like natural finish, buildable coverage and long wearing formula. 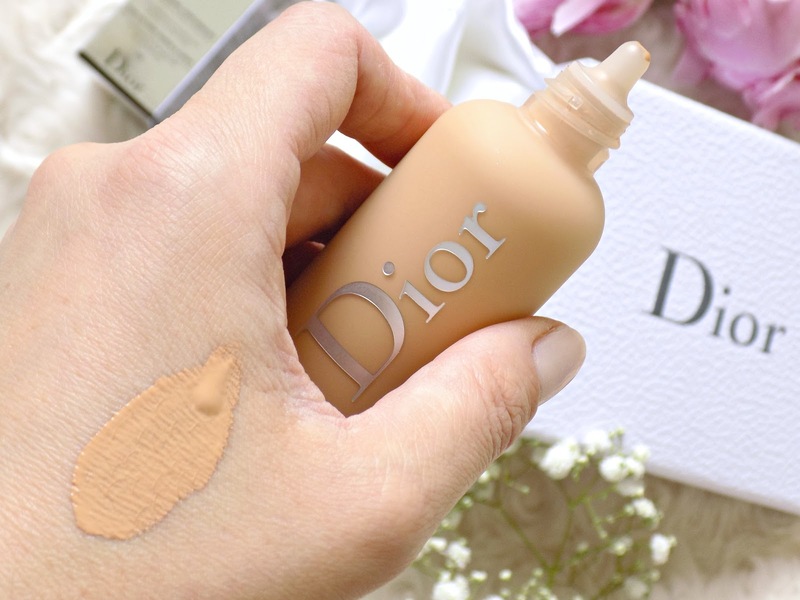 Have you tried this new Dior foundation? Are you tempted to?